Barcelona Forward Lionel Messi has made it know he wishes Argentina are more like Germany. In an interview with Argentina sports channel TyC Sports, Messi made his admiration for Germany known and also state how pleased he is with the way the country do prepare for the World Cup. 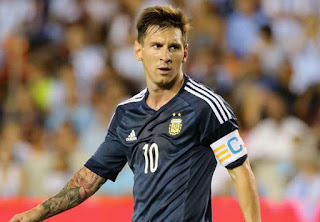 We could recollect Argentina lost to Germany in the final of 2014 FIFA World cup and in this coming World Cup Messi and his teammate will hope to do well and win it this time. Argentina are in the same group with Nigeria, Iceland and Croatia in the 2018 World Cup and they will look to get to the finals this time around again.